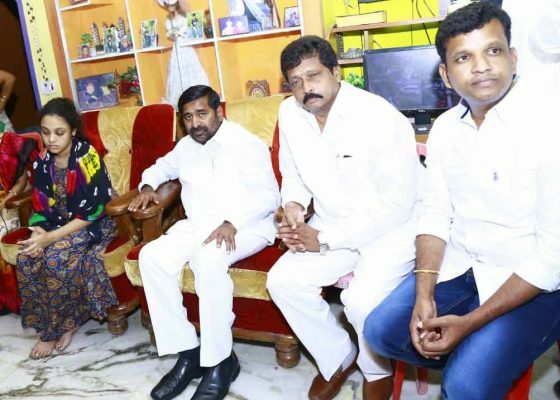 The Minister visited Pranay's house in Miryalaguda along with Rajya Sabha member Badugula Lingaiah Yadav and Thungathurthy MLA Gadari Kishore and consoled his family members. Minister for Power and SC Development G Jagadish Reddy at murdered dalit youth, Pranay Kumar's house in Miryalaguda on Thursday. Nalgonda: Minister for Power and SC Development G Jagadish Reddy on Thursday assured the family members of murdered Dalit youth Pranay Kumar of all help and support from the State government. The Minister visited Pranay’s house in Miryalaguda along with Rajya Sabha member Badugula Lingaiah Yadav and Thungathurthy MLA Gadari Kishore and consoled his family members. Stating that Pranay’s murder was shameful to the society and that such incidents need to be avoided, he said that the State government would take steps to ensure that the accused in Pranay’s murder case are given stringent punishment. 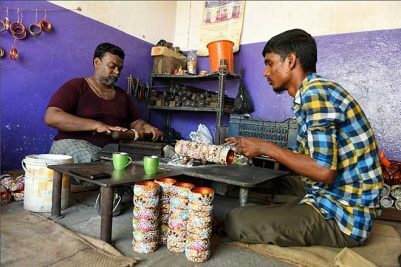 “A government job would be provided to Amrutha Varshini, Pranay’s wife. Also, agricultural land and a double-bedroom house would be allocated to his family,” he said. Stating that the government had taken serious note of the honour killing, he said that immediately after the incident, police officials had been instructed by the government to file cases against the persons involved in Pranay’s murder under stringent sections of the law. 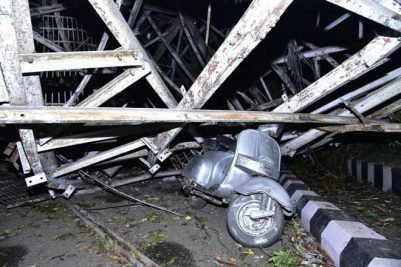 He opined that Pranay’s killing was actually an honourless act and said that the government would take measures to avoid the recurrence of such incidents in the State. He informed that the government has sanctioned Rs 8.25 lakh towards the immediate expenses of Pranay’s family members. He also extended a cheque for Rs 4.12 lakh to Amrutha Varshini. Collector Gaurav Uppal and Superintendent of Police A V Ranganath also accompanied the Minister.